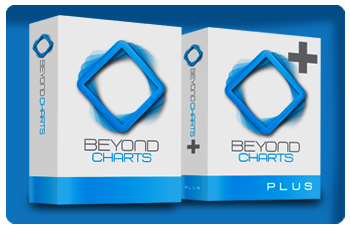 Welcome to Beyond Charts. We develop trading and investment tools such as stock charts for Private Investors. The driver for all Investors is the continuous search for investment opportunities. So we created Beyond Charts to put you on the right path. Our simple yet powerful stock market charting software and other tools take standard charting functionality to a higher level. This allows you to focus on the securities you are interested in, so you can make informed decisions. Of course all the standard technical analysis tools, indicators and charting functions are included in our FREE charting package, but we've gone Beyond Charts for those searching for more. Beyond Charts+ offers sophisticated Investors with advanced tools. Whether you’re interested in researching and testing your ideas, saving and recalling your favourite analysis or accessing tools and strategies from leading Industry Educators, Beyond Charts+ is modern, powerful and easy to use charting software for private investors.